Hilary Weeks sings about life in such a way that listeners can relate. They remember what they already knew deep down, and find energy and excitement to face the day. Her latest release, If I Only Had Today, is no different. With a focus on the Savior and brand-new songs including “If I Only Had Today,” which she debuted at the BYU Women's Conference. This album offers inspiration without pretense. It is like having a conversation with a friend, and is a perfect choice of music for women of all ages. Hilary has yet created another album of music which brings out every emotion in my heart. i have had days as of late which need soothing. This new album does sooth with a balm that helps. Brings smiles to my heart and mouth. Thank You Hilary for another uplifting album ! I can feel the spirit so strong when I listen to her music. "Just let me Cry" is such a great song and is so healing and can be applied in and circumstance. I never get tired of listening to Hilary Weeks. I never get tired of listening to Hilary Weeks. Her music is inspiring and uplifting!! The first time I have ever heard Hillary Weeks was at a TOFW event in September 2008. She was amazing. I ended up buying her newest release because of a song she sang at the event. I love this cd. It recenters my soul every time I hear it. I love Hilary Weeks and this is one of her best!! I have never been so touched by an album. The very first time I listened to a clip I knew I had to buy this album. When I received it I put it in my portable CD player and listened as I took my morning walk. I cried with every song. I felt she knew what my life had been like with it's ups and downs. She expressed my feelings for the Savior and Heavenly Father so well. I am going to give this one to others for Christmas. Bought this CD at TOFW in St. Louis. I listen to it constantly. Love, love, love it! Do not miss this one! Hillary's songs always bring to home those things we sometimes take for granted, but are most important in life. The lyrics touch my soul and build my testimony of Heavenly Father and my Savior. It is so enlightening and uplifting! I have to say that Hilary is one of the most talented women singer songwriters I have ever heard. She definately brings her soul to the work. I enjoyed Hilary's performance at Time Out For Women,in Alaska! Hilary's music definitely touches your heart, and invites the spirit of the Lord. Because this music invites the spirit, it is a powerful tool that we can use to strengthen ourselves and those around us. This music helps to keep our thoughts on a higher ground, and invites us to do good. This has become one of my favorite cds. I highly recommend it as a must, for your inspirational tool collection!! Every song was brilliant. I love her words and the perfection she uses to portray them. Simply beautiful. I bought this cd at a Time Out for Women. It is so great to play over and over again. What an amazing spirit goes into her songs! What a great way to bring the Spirit into your home. This is the best church CD I have ever purchased. 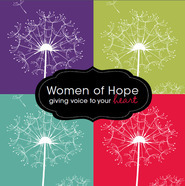 I bought this CD after hearing Hilary Weeks perform it at the Spokane TOFW. "If I Only Had Today," is very tender and close to the heart for me, as my mom was with my sisters and I and dying of cancer at the time. I love how inspiring and touching the music on this album is. I feel my Heavenly Fathers love and my mothers love as I listen to the words. "When You Least Expect It," hit me hard because I found out I was pregnant with my first baby right after my mom died. Heavenly Father hears our prayers.....this CD was the answer to one of my prayers. Hilary justs keeps getting better!!! This c.d. is a must have! The lyrics are inspirational and uplifting. Hilary has a way of touching your soul through her music and inviting the Spirit in a way that no other artist I have heard can do. All the songs on this c.d. 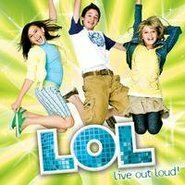 are amazing and are sure to lift your soul and brighten your Spirit. It is true. Like it says in the song "Reaching" ...."there's more to come, So when we taste of the Divine, it leaves us hungry every time." .... that perspective WOW!! I love it! The whole CD is just as fabulous! I hope Hillary can read these reviews and catch a glimpse of the good she does for those of us still trying to understand our Savior's love for each one of us, individually! You Can FEEL it in the words and music! I have not heard the whole CD but the song I heard...is worth the cost of the whole cd! 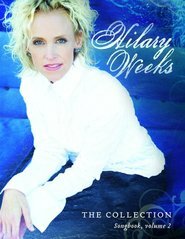 How grateful I am for Hilary Week's talent and ability to share God's love for us in this wonderful CD! Thank you! Hilary Weeks is one of my favorite artists. I just listened to her new cd and I felt the spirit so strongly. When I have her music on in my home or in my car, I feel just a little bit closer to my Heavenly Father and Savior. I am so grateful for her wonderful gift of music and for being so willing to share that gift with all of us.